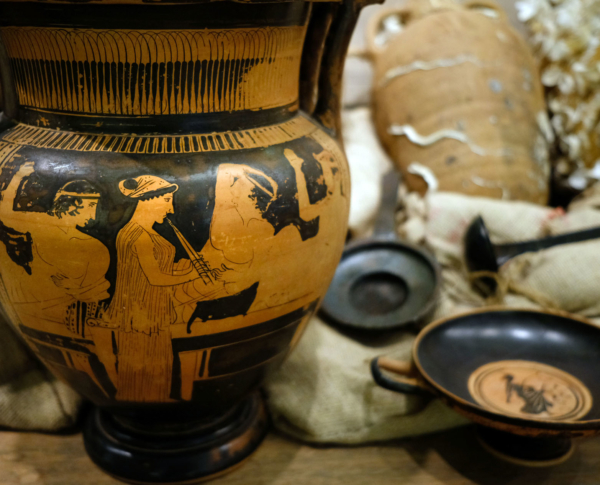 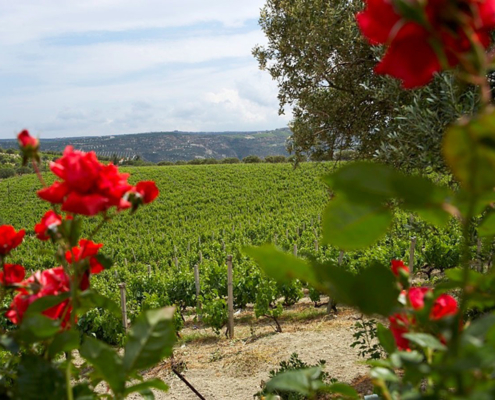 Greece is a moderately small country, especially in terms of vine growing, with acreage of about 61.500 hectares of vineyards. 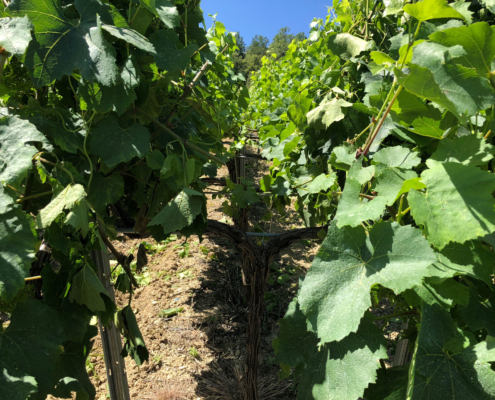 The surface under vine has been remarkably stable over the last decade although a slight increase is projected for the future. 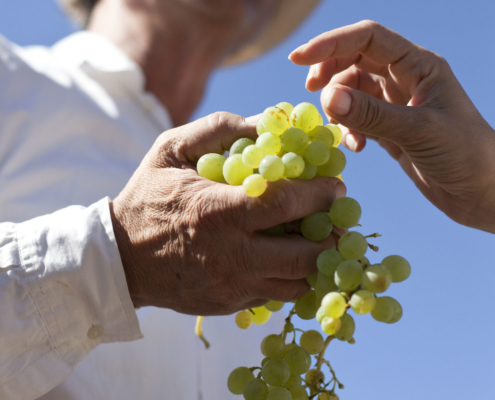 The number of growers is close to 180,000, which is about a fifth of all landowners involved in agriculture. 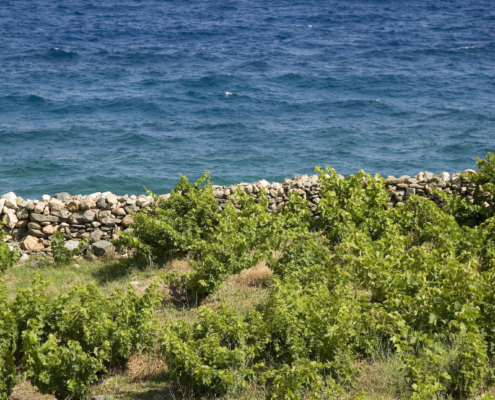 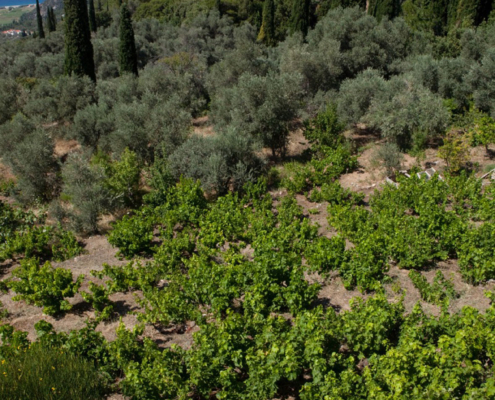 Therefore, the average land- holding size in terms of vineyards is slightly above half a hectare, indicating that viticulture in Greece is a hugely fragmented sector. 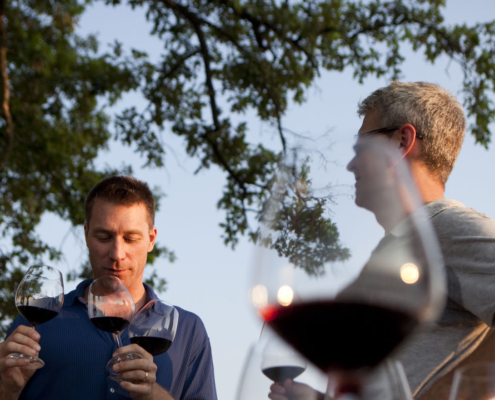 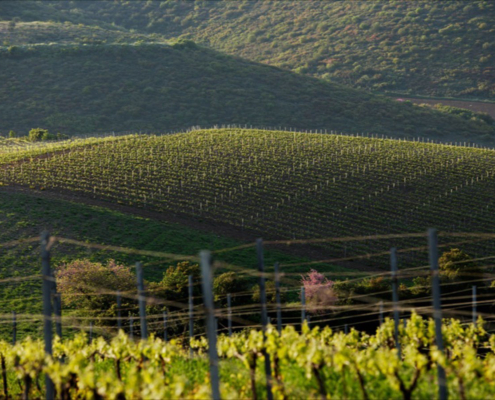 There are more than 1290 wineries producing wine, but the number is rising by the week. 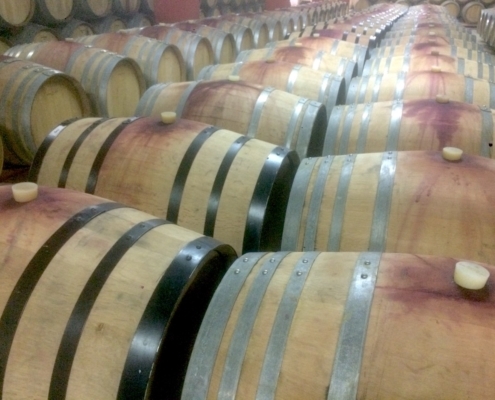 The average annual wine production in 2017 was 2.5 million hl, which makes it only the 17th largest wine-producing country in the world. 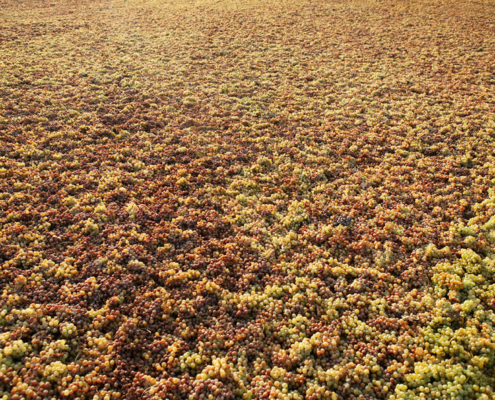 Styles are dominated by white wines, since reds are about a third of the overall production. 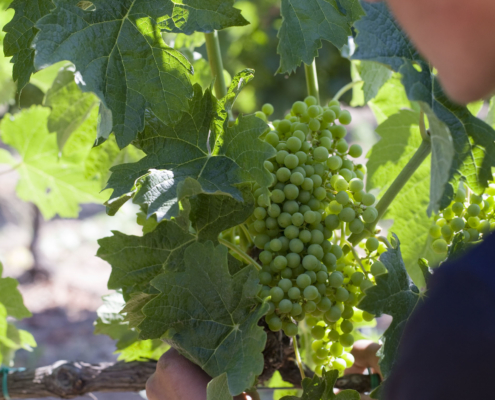 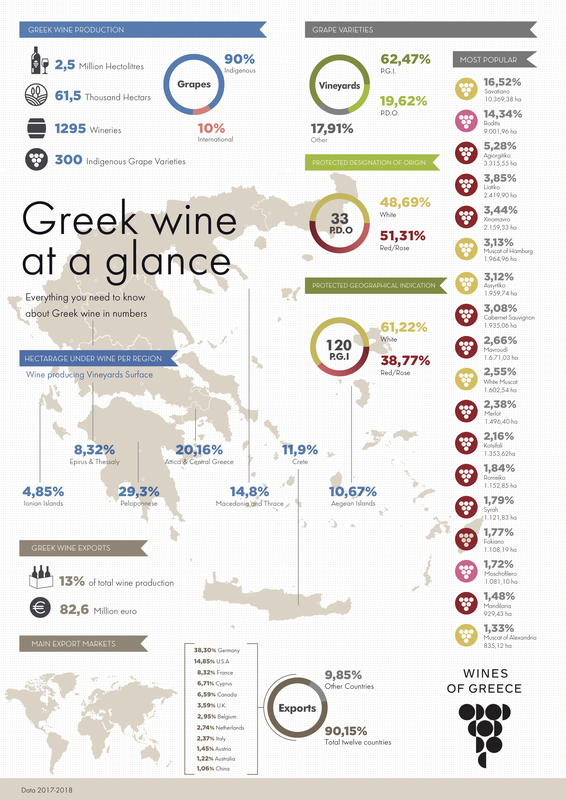 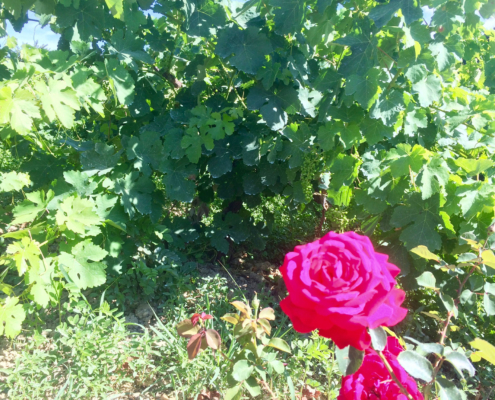 Greek grape varieties are, as expected, the majority of the wine produced, or about 90% of the total. 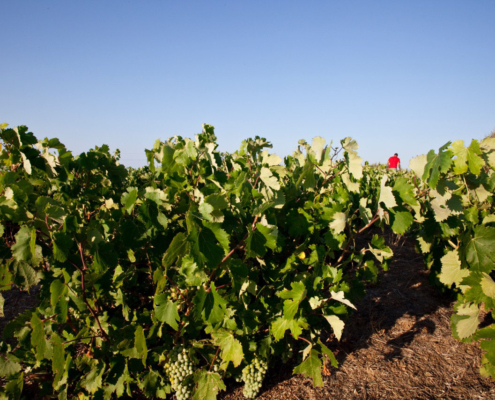 The three most important grape varieties in terms of quantity are Savatiano, Roditis and Agiorgitiko. 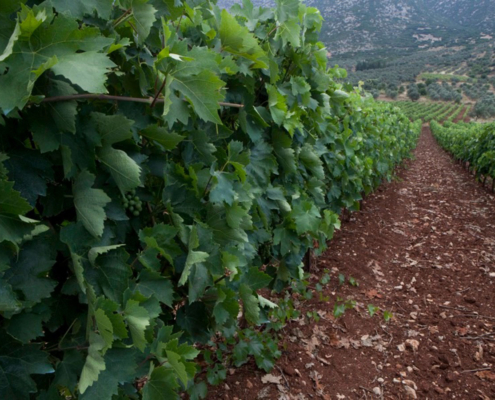 The major viticultural centres are found in Crete, the Peloponnese, Macedonia and the area of Central Greece that is close to Athens, namely the prefectures of Attica and Viotia (Boetia). 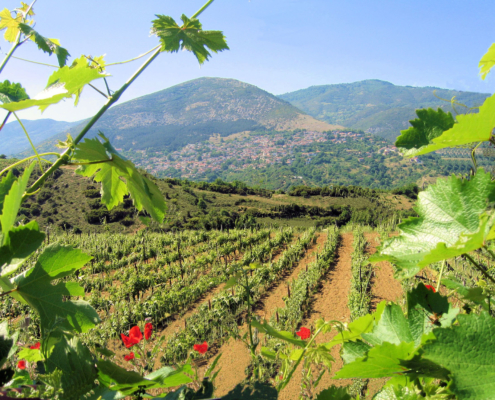 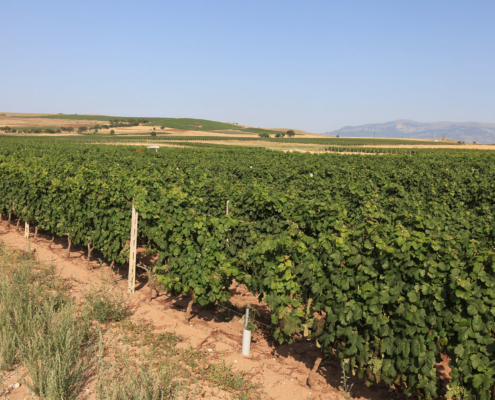 In terms of appellations, the largest red wine appellation is Nemea; for dry whites it is Patras; Samos leads the way for sweet whites; and Patras, this time with the Mavrodaphne variety, also dominates sweet reds. 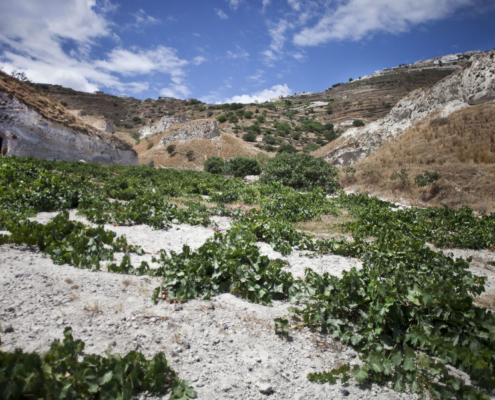 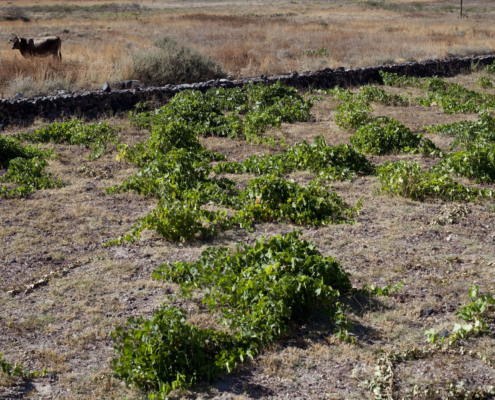 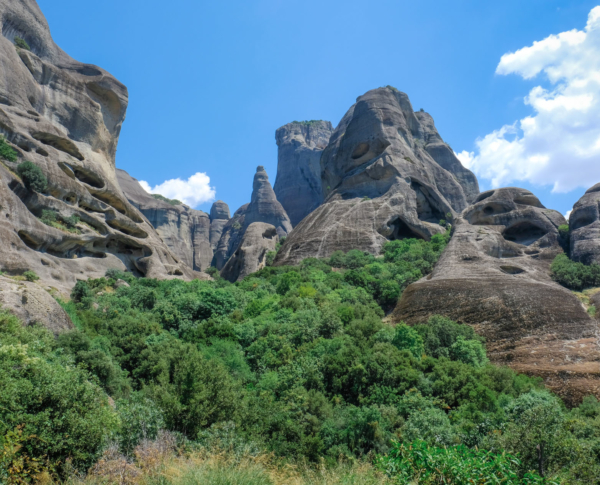 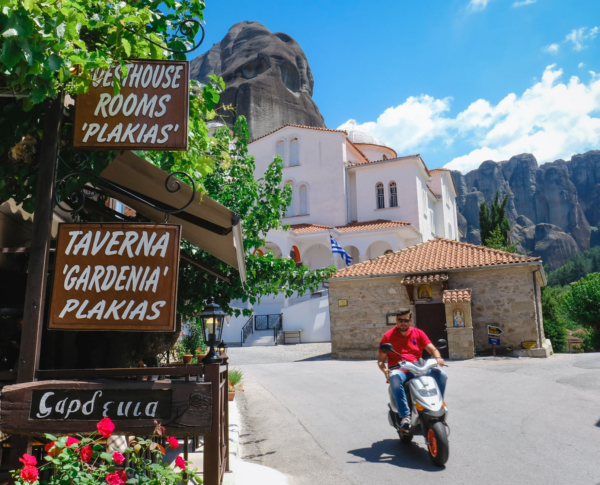 Nevertheless, very few areas in Greece are completely vine-free and these usually are the extremely rugged parts of the country. 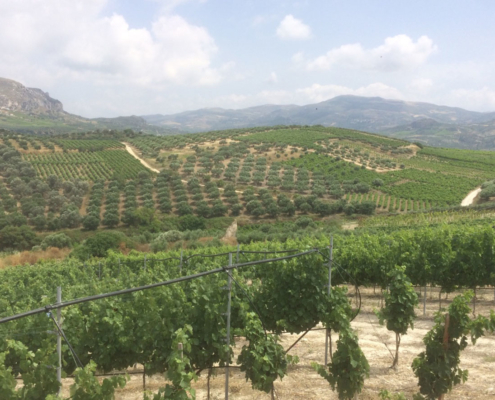 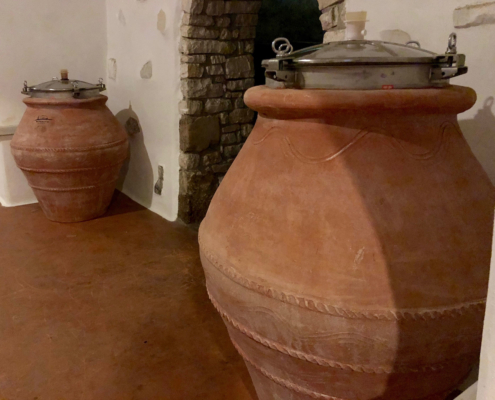 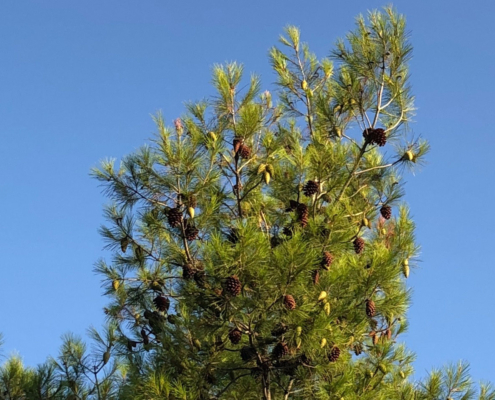 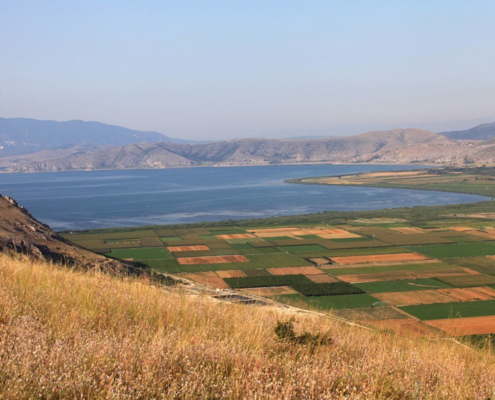 There are 33 regions that have attained the Protected Designation of Origin (PDO) status, which were previously known as OPAP (the Greek equivalent of VqPrD) or OPE (the Greek equivalent of AOc). 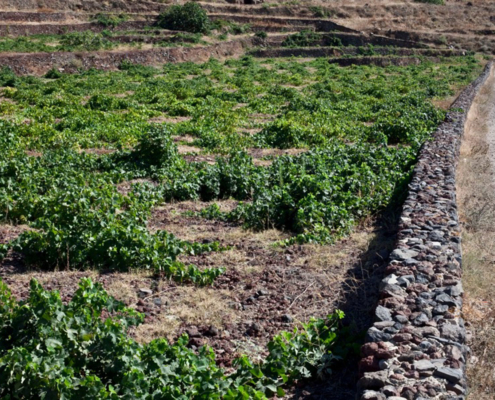 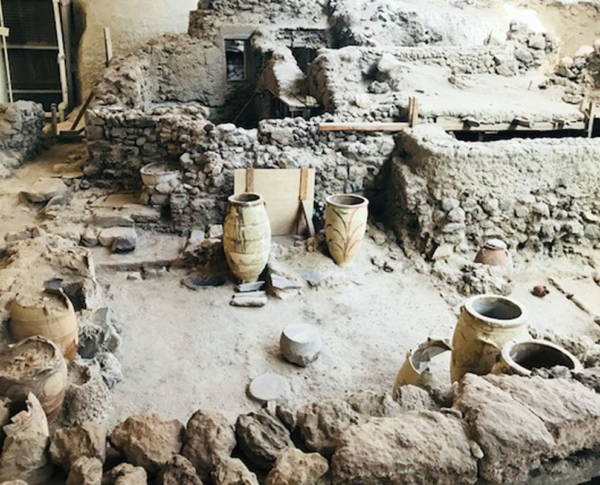 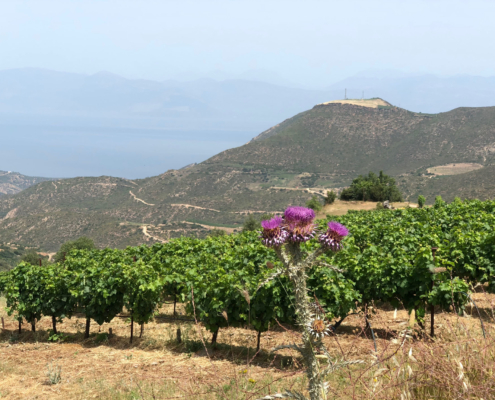 The most important appellations are considered to be Santorini PDO (produced from Assyrtiko grapes), Nemea PDO (from Agiorgitiko), Mantinia PDO (from Moschofilero), Naoussa and Amynteo PDO (both from Xinomavro). 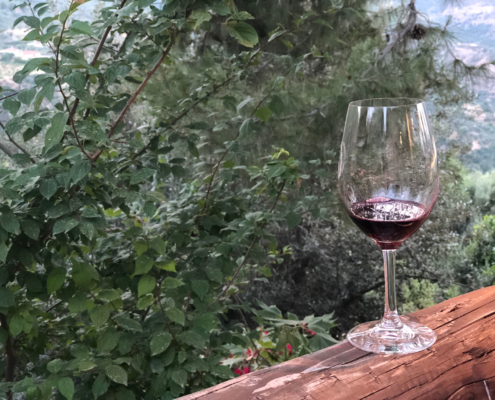 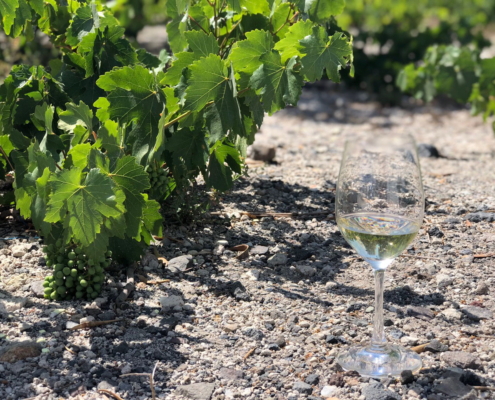 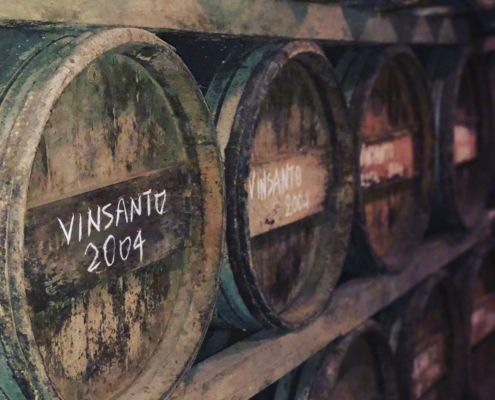 There are also almost a hundred Protected Geographical Indications (PGIs), the new class encompassing all regional wines, as well as two styles under the Traditional speciality Guaranteed (TsG) category.